Enjoy the creative accomplishments of students from al 8 Millburn Schools at the K-12 art exhibit at the Education Center, 434 Millburn Avenue, all month long! The Music Department of Millburn High School presents the annual Pops Concert on Thursday, March 28 at 7:30 P.M. in the high school auditorium. This concert is free and open to the public. The concert will feature the Jazz Band and Pops Strings. Music selections include composers Henry Mancini, Thad Jones, Leroy Anderson, Billy Strayhorn and Charles Mingus. 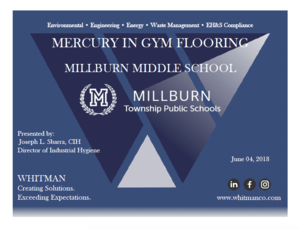 Additional information may be found at www.millburn.org. 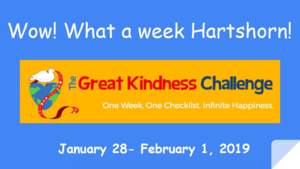 Take a look at all of the kindness that took place at Hartshorn School during the Great Kindness Challenge week. Kindness never stops! The United States Senate Youth Program (USSYP) announces that high school students Mr. Jacob Alexander Bernard and Mr. Ranen Miao will join Senator Robert Menendez and Senator Cory Booker in representing New Jersey in the nation’s capital during the 57th annual USSYP Washington Week, to be held March 2 — 9, 2019. Jacob Bernard of Pitman and Ranen Miao of Millburn were selected from among the state’s top student leaders to be part of the 104 national student delegation who will also each receive a $10,000 college scholarship for undergraduate study. 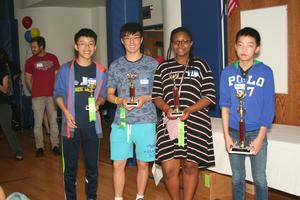 Millburn hosted the Essex County Challenge 24 competition for the 6th year in a row. The competition was held on Wednesday, May 30. 2018 from 9:45 to 12:45 at Millburn Middle School in the Multipurpose room. Nine school districts from Essex County brought teams to participate in two divisions: Varsity for grades 7 and 8, and Junior Varsity for grades 5 and 6. Altogether 112 students participated, including 12 students from Millburn. 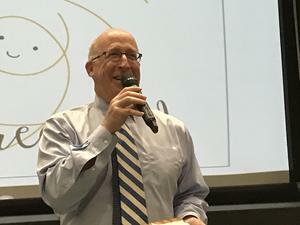 Additionally, 26 students from Millburn proctored the competition. MMS teachers Mary Wiley, Lauren Kolmer, and Mary Beth Cimino coached the Millburn teams and ran the Essex County competition. Snacks were provided for all the competitors by the Millburn PTO. Many thanks! 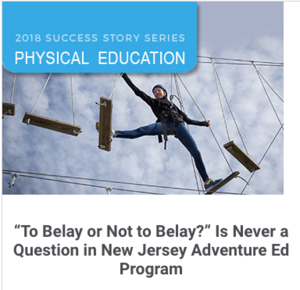 Check out the article highlighting our own PE teacher Mark Friedrich @adventureedguy, and our students!